National School Breakfast Week is March 5-9, and the Bald Eagle Area School District is celebrating. 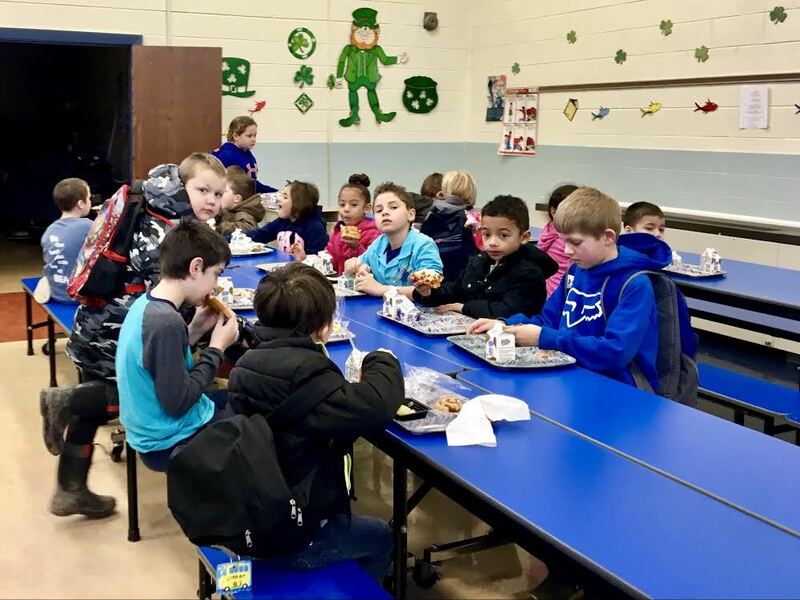 Food Service Director Laura Frye said it’s a way to boost participation among students to eat school breakfast, which regularly cost $1.10 – or just 30 cents or free for students on the free and reduced meal program. Research also shows that kids who eat breakfast at school are more productive throughout the day and do better in school, Frye said. Breakfast pizza was offered on Tuesday morning, and other unique meals will be served throughout the week including wholegrain funnel cakes, sausage and pancakes on a stick, and more. Food Service Department secretary Cathy Fetzer said the program was started sometime in the late-1980s to help get kids interested in eating breakfast and promote a healthy start to the day. This year’s theme is, “I heart school breakfast.” A similar national initiative is held to promote school lunch week during the fall. According to documents from the district, 20 to 44 percent of schools in the district have breakfast participation among students. Those who eat a school breakfast are encouraged to sign a poster, and younger students in elementary school have the chance to win prizes.